It looks as though I will be needing some new gear for the T120. Everything inside the bags is much the same. I tend to bring more than enough stuff. I like to lounge out once I pitch my tent. There are a few additions and I will expect there to be a few removals of items on future journeys. One important addition to gear is my boots. I started wearing boots that I see cops wearing. The Bates 9′ GoreTex boot has really done the trick. My boots have been through some heavy rains and my feet stay dry. They are tough and comfortable off the bike as well. I highly recommend them. 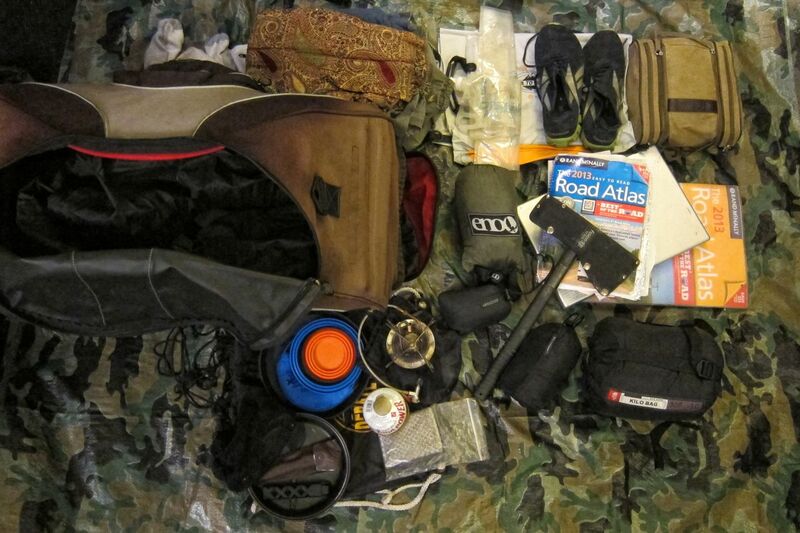 My supplies for the 2009 T110. 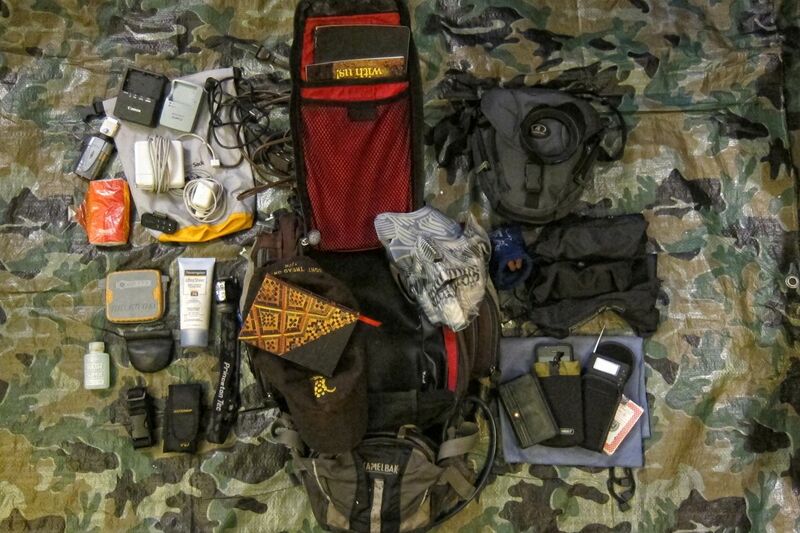 Let’s break down my gear. Here is the bike fully loaded. Click on a photo to open in a new window. 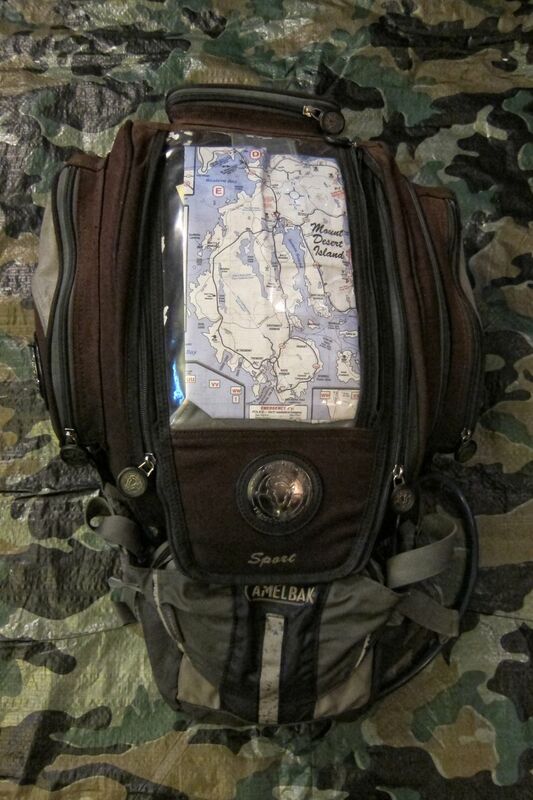 The tank bag has an easy to read, clear map pocket. The uppermost pocket is where I keep my Canon S95 so I have quick and easy access to it. 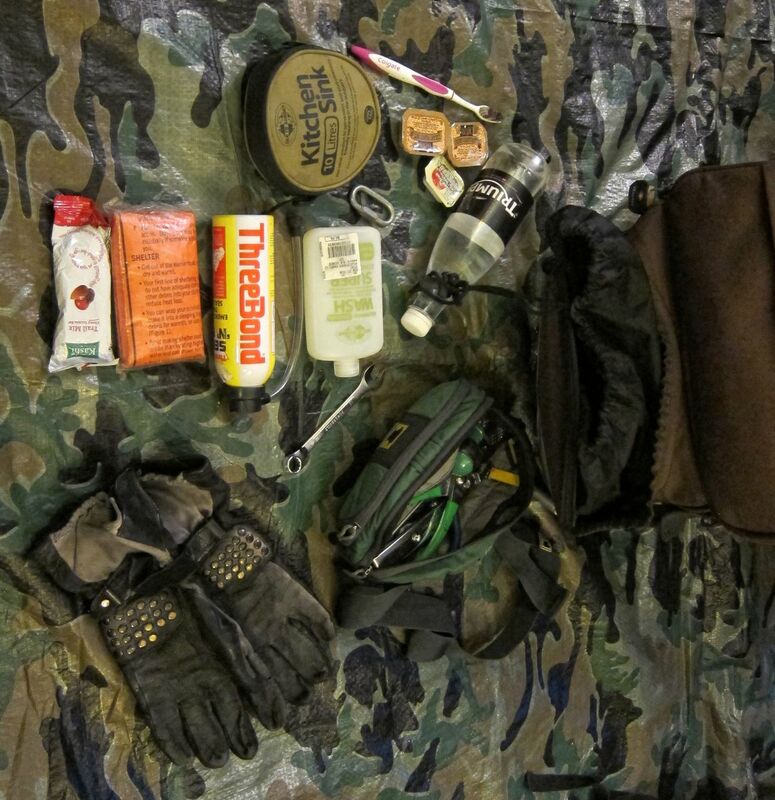 The Camelback can be seen in the photo with the tank bag. It holds 1.5 liters of water. In the extra pocket I keep my house keys, some AAA batteries and loose change. It makes all the difference for the long ride. Attached to the bag you see a couple extra bungees, some of those giant paper clips which I use for hanging stuff or as a clamp and some loose feathers I found on the way. 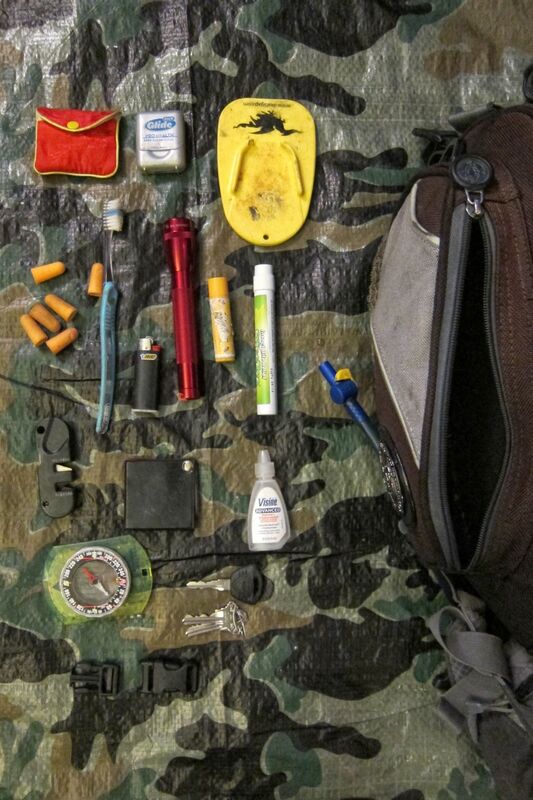 At any given time I would stuff either pocket with food or drink. Collapsable plate, saucer and cup. 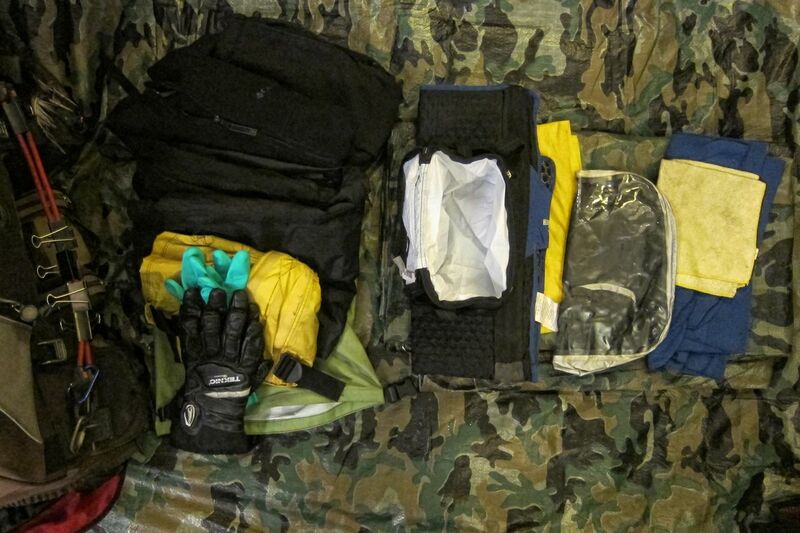 Basically, with motorcycle gear, you get what you pay for. If you want something tough that is going to last, chances are it’s going to cost you. 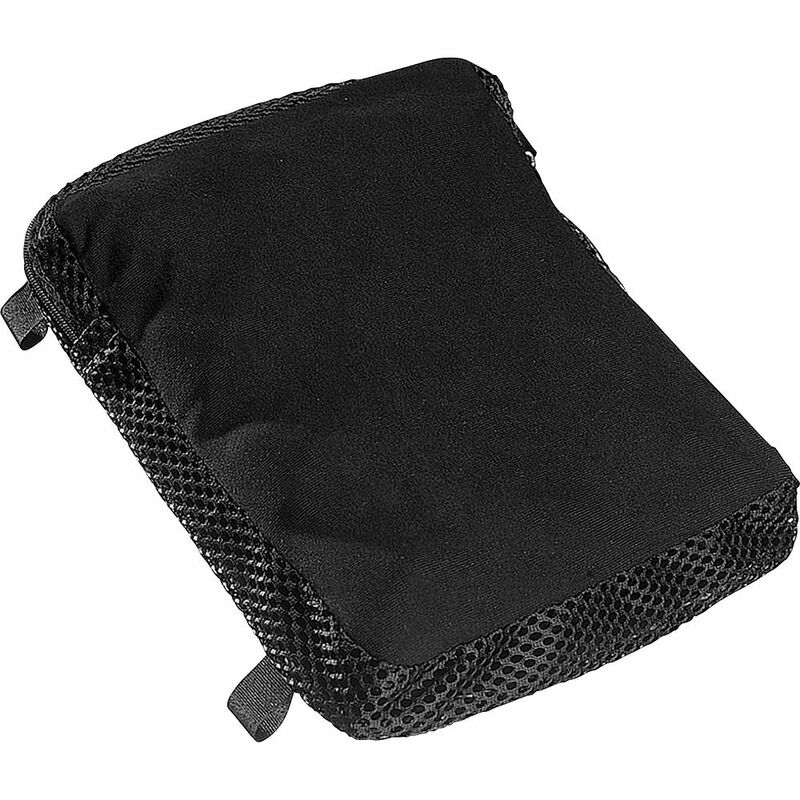 The greatest purchase for my cross country travels was a rear seat bag from Twisted Throttle. I couldn’t find any reviews for the bag (now there is one). I bought it on faith and it was the right decision. You can read my review on the link above. I also got the attaching tent bag. I have taken this bag for 3 cross county trips and a number of week long trips so far. It’s a good tough bag. It is just starting to show some wear. I dropped it fully loaded and busted a seam on the lower bags. Other than that and some faded color the bag stands strong. Twisted Throttle doesn’t have a retail store, but they are very friendly and easy to correspond with. They will allow visits to their warehouse in Peacedale, RI, by appointment. The website has a very convenient navigational tool. You can search their inventory by creating a menu specifically focused to your bike. Excellent! I also got my stemnut clock from them. The flyscreen and the seat bolts I got from British-Customs. New Bonneville is another good site for Bonneville parts. I got my locking gas cap from them. This retractable cap looks cool too. Especially if you want a magnetic tank bag. New Enough has changed it’s name to Motorcyclegear.com. 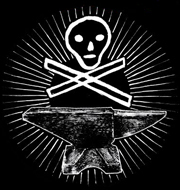 It is a great site for motorcycle apparel with honest reviews. The gloves I wear are the Held Steve Gloves. Very comfortable. Tough. I am now on my second pair. Rain Gear: This jacket and pants combo kept me dry in some severe conditions and acted as a layer in the cold mountains. Good rain gear is essential. I finally got a pair of good waterproof gloves. I have tried many things in the past with little success, (rubber gloves, those two finger mitts, SealSkins). 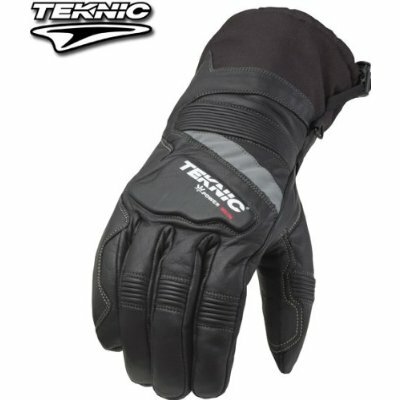 The TEKNIC Thunder Waterproof Gloves held up well on my last cross country trip. They are a bit warm in hot weather and will make your hand sweat, but they will keep your hands dry. 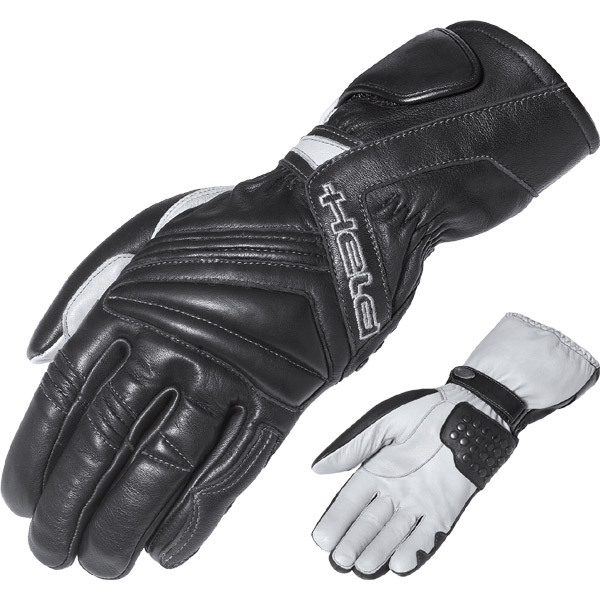 I have worn them in cool weather too and they keep my hands comfortable. 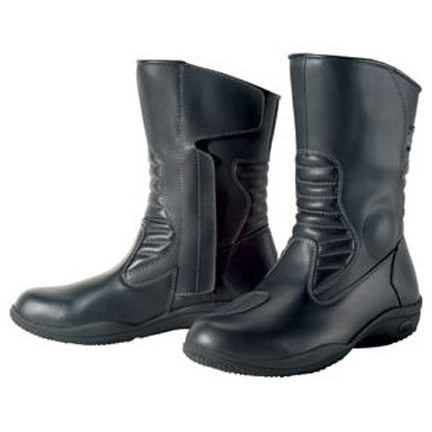 The boots I have been using for my last two cross country trips are the Tour Master Solution Waterproof Road Boots. They have held up well and still keep my feet dry. The soles are starting to wear out in the heel but they have traveled about 25,00 miles with a lot of walking around as well. While visiting Devil’s Tower in 2008 I spoke to a guy on a BMW in the parking lot. He had just been to the BMW rally in Gillette and he bought an Airhawk cushion. He was singing it’s praises. So I got one for my journey in 2009. It’s pricey but man it does make a difference on those long days. I use it as a camping pillow as well. I don’t know if you can find bargains, but HERE is where I got mine. I find most goggle pinch me and hurt after a long day of riding. These are the most comfortable goggles around my nose I have worn. I can wear them all day! I rip through goggles and these have been pretty tough. They are lightweight, so careful leaving them lying in the wind because they blow away and scratch easily, but with care they will last. I picked up a couple extra pair with mirrored lenses at Sturgis this summer. 2012 I have a new tent. I am now using the eureka backcountry 2 and I am very pleased. I like that it sets up quickly and can be free standing. It also is roomier inside yet packs up smaller than the Flashlight 2. The tent I used held up and traveled well. I slept through some all night rains in the Washington forests. Stayed dry. I also was using the footprint, sold separately. There is not a lot of space to maneuver inside, but there is plenty of room for sleeping and sitting up. And room for extra gear. The Sierra Designs Clip Flashlight 2. 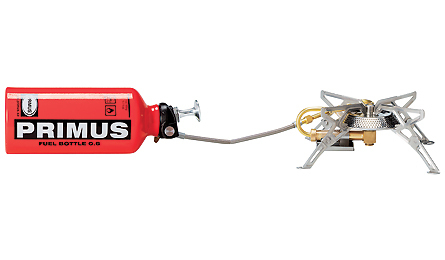 This stove comes with attachments to burn nearly any type of fuel. I don’t even carry the attachments just a couple small fuel containers. I use it more for getting a quick fire going than anything else. It’s simple and tough. A valuable camping tool has been the Bigboy saw. It easily packs in my tent bag. 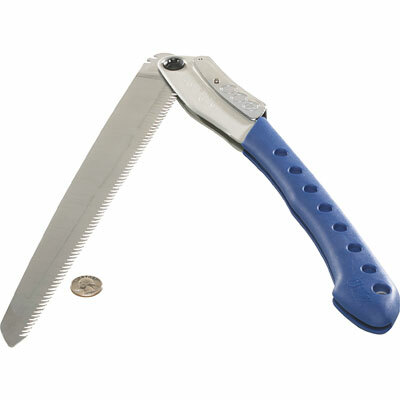 This saw cuts through wood with ease. I have shared it with people at campsites who are struggling with hatchets. They are always thankful. 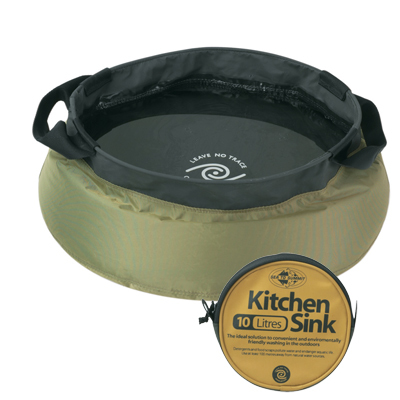 The Kitchen Sink is a great piece of equipment. I carry two 10 liter buckets with me. For primitive camping it’s a must. Makes it easy to visit a stream and get some water for washing or putting out a fire. 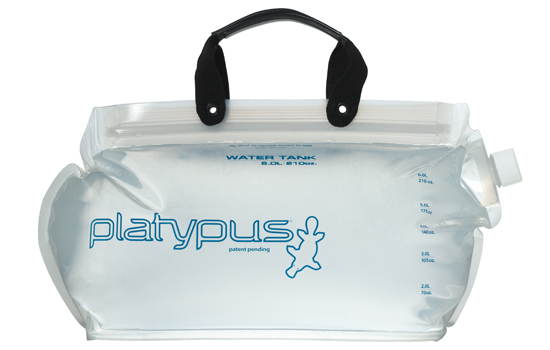 To carry extra drinking water I bring a 4 liter Platypus Water Tank. These are real durable and collapse to a small rolled up spool. 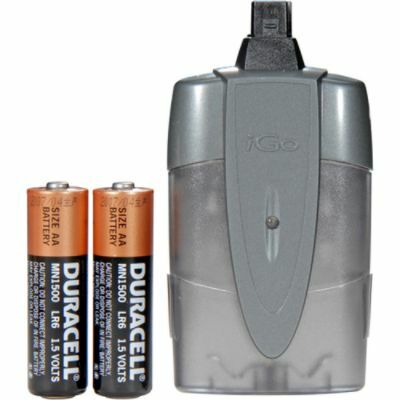 This is a handy tool for charging a phone or ipod with two AA batteries. You can get the iGo at Radio Shack. They have adapter tips for a variety of devices. Well first there is the bike. The bike until just before Memorial Day 2009 was a 2007 Triumph Bonneville. I rode her for almost 18,000 miles. Then I came home that Friday afternoon and saw an empty parking spot where my bike had been. It was stolen. The guy who stole it had just gotten out of prison the day before. He stole my Bonnie, rode to Jersey, wrecked it, and was arrested in his hospital bed. Since then I have been riding a 2009 Triumph Bonnevile T100. 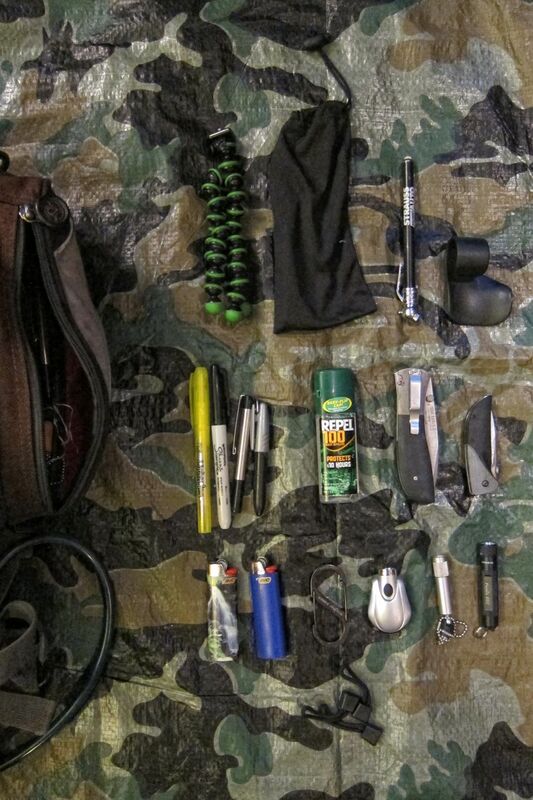 I don’t remember what site I got my tank bag from. 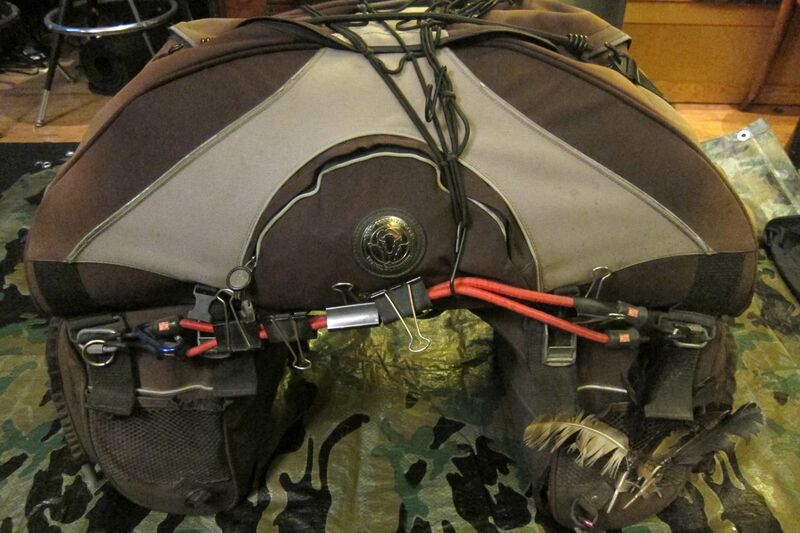 But it is a Nelson-Rigg Expandable Tank Bag. It comes with a rain cover that goes on fast. 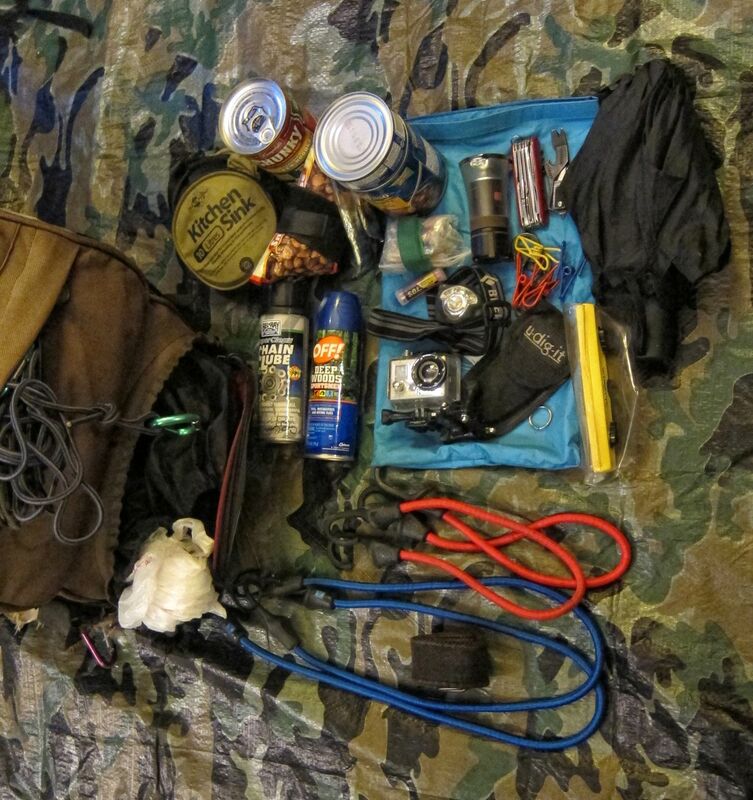 The rain cover served as a nice pouch for putting things in around the campsite as well. The foam bottom tore a bit, but this bag worked well. Here it is on 2 sites I found. 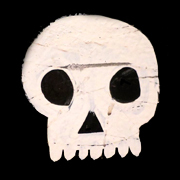 (1, 2). I switched to a different bag. The Nelson Rigg was a little too big for a tank bag. The Bags-Connection “Sport” Tank Bag still opens up for lots of space, but it hugs the tanks much better. I use the strap version although they make a magnetic version. Excellent film. Your opening commentary captured the feeling perfectly. And yes, gas stations are a blast! Thanks man! I’m curious, do you think the speed pack can be used without luggage rails? It’s a pain to take the rails on and off and I don’t like the look with them on, so I’m hoping the speed pack will not rub on the tires without the rails. Great site! I’m also in NYC, so I know the challenges in riding these streets. Hey Andrew, The Speedpack doesn’t rub. I’ve taken it cross country 4 times now. In ’08 I had those luggage rails cause I had the dealer throw in the briefcase style saddle bags. Those bags were such a pain to get on and off, I never used them. In ’09, ’10 and ’11 I had the Speedpack sitting on the seat without rails and had no problem. It is sturdy. It doesn’t bend or droop. When fully loaded be careful setting it down on flat ground because it does put a lot of pressure on the side pieces (which are detachable). The speedpack straps down to the frame and the license plate bracket. Once strapped it is solid and dependable. 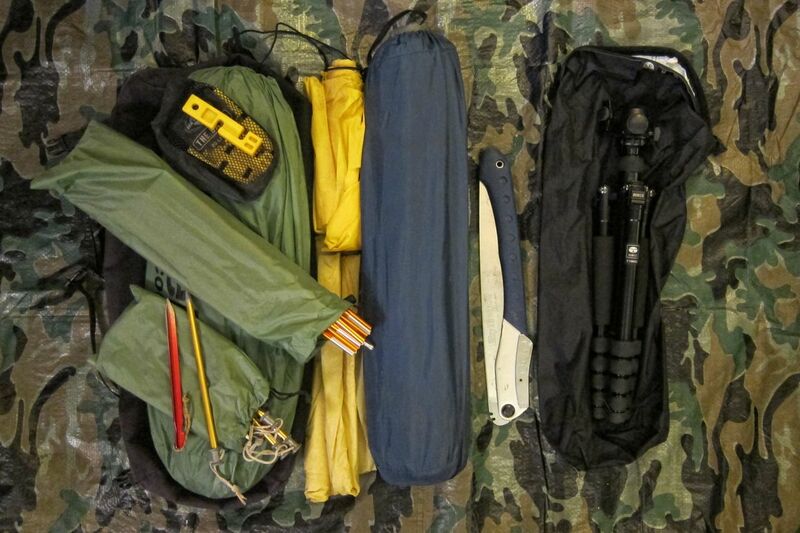 The additional tent bag is great too. I can fit my tent, air mattress and my saw in it. But check the specs on your tent. It’s not that long. I noticed that in recent posts you wear large black glasses – are those goggles or glasses? What brand are they? I’d love a quick review on this page of them! Keep up the great riding – you motivate all of us who can’t be out there. I’ve hyped up these goggles before in posts, but indeed they should be on the gear page. There a few great items I carry that should be on that page. Update is in order. Nice post. I thought I found a speedpack on ebay, but it was the speedpack wide which is well too wide for my bike. New it’s pricey, but seems well worth it for the long hauls. My only question was whether or not it was large enough for a sleeping bag or not. I’m also in NYC and planning my first cross country trip on my Bonnie this Sept. Excited and would love any tips! I ended up finding the speedpack on ebay, and it just arrived. Unfortunately it seems to be missing the d-rings for the license plate mounts (I had a suspicion that might happen). Would you mind if I asked you a favour? I would be very appreciative if you would take a close up photo of the d-rings and how they are attached to your bike so I can jury rig something similar. By the way, I enjoy your photos from your trips! I don’t have a blog, but I like documenting my trips as well. 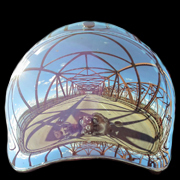 I recently got a GoPro Hero helmet cam, so I’ll be experimenting with it on a trip to Napa in September. My bike is in the shop now. Sorry I am just noticing your post. I’ll check some old photos to see if I have a shot of the D rings. Basically the D rings are attached to a strap with a hole in it. You put your license plate screw through those holes. And then put the straps through the D rings on the rear of the bag before sliding it through the clasp. No worries, I figured out how to attach it without the D-rings. I’m actually on the road right now with it (Vancouver to Big Sur and back), and it’s a great bag! Thanks for the review of the speedpack! I’m looking for a new bag because my current one started falling apart on my last trip and it doesn’t have enough room for camping gear. The speedpack looks pretty impressive. It’s good bag. 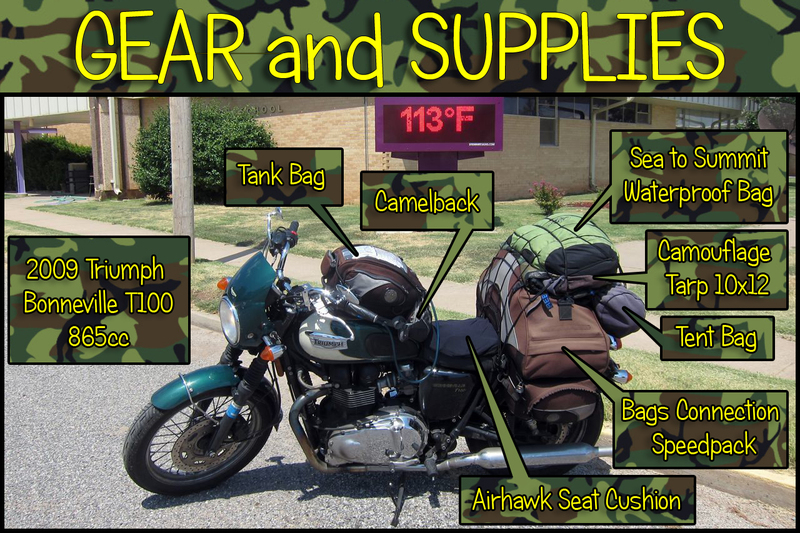 I am about to take another cross country trip and just ordered the Bags Connection tank bag. If it works as well as the Speedpack I will be very happy.